Webbing construction allows the Alpine to withstand the high wear experienced in climbing walls and outdoor centres. It is highly adjustable to maximise the range of fit each size caters to. Thread back buckles are easy to use and check. A high tie in point helps keep climbers upright, and is colour coded to indicate harness size. Leg loops are also colour coded, making it easy for users to fit correctly first time. Gear loops and leg loop restraining straps are replaceable, increasing the Alpine's lifespan.Simple and rugged design makes the Alpine harness suitable for climbing wall and outdoor centre use. Webbing harnesses are simple, light, and give a broad range of fit. They are ideal for climbing walls and outdoor centres. They also perform well in Alpine and scrambling environments, where low weight and small pack size are crucial. Harness tie in points are reinforced with tough material to protect them from wear and tear in this critical area. Inverting while climbing is unpleasant can damage confidence. A high tie in point helps keep climbers upright during a fall. Tie-in points are colour coded to help user locate them. Colour coding corresponds to harness size, allowing quick identification and correct size matching to users. This harness features waist and leg loops with a large adjustment range, allowing them to fit a wide range of sizes. They are perfect for climbing walls and outdoor centres, where customer fit can vary greatly. Leg loops are colour coded to make it easy for climbers to correctly fit the harness themselves, saving time and helping ensure correct fit in group settings. Leg loops and a floating waistbelt mean that no matter how many layers you're wearing, you can find a comfortable fit. Appropriate for climbers who want a single harness for all their climbing. Alpine has a gear loop, allowing climbers to follow up trad and sport routes while learning the art of cleaning gear. 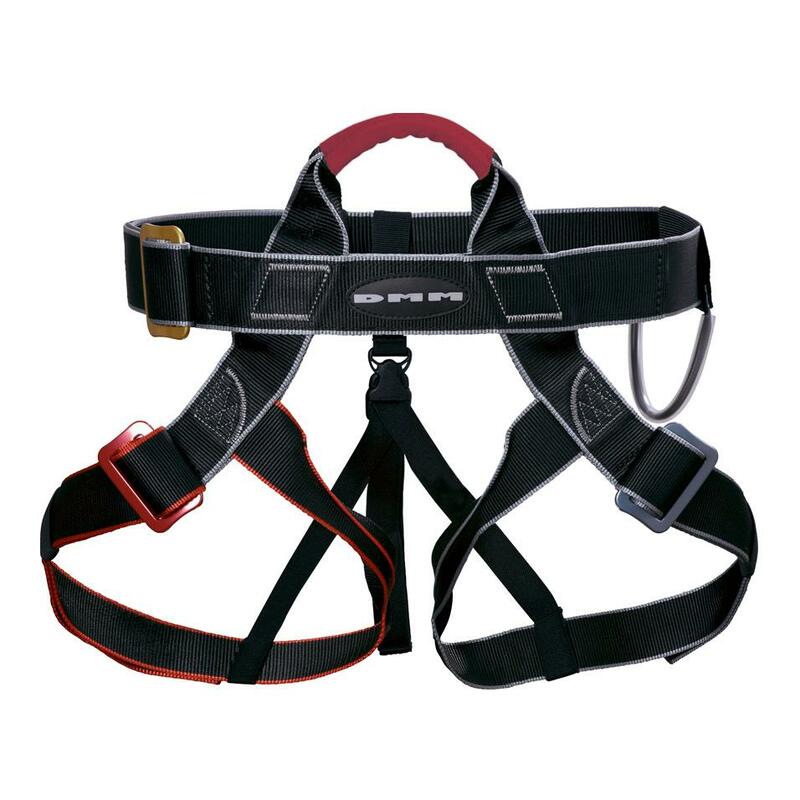 An overview of the features and benefits of the Alpin Harness.